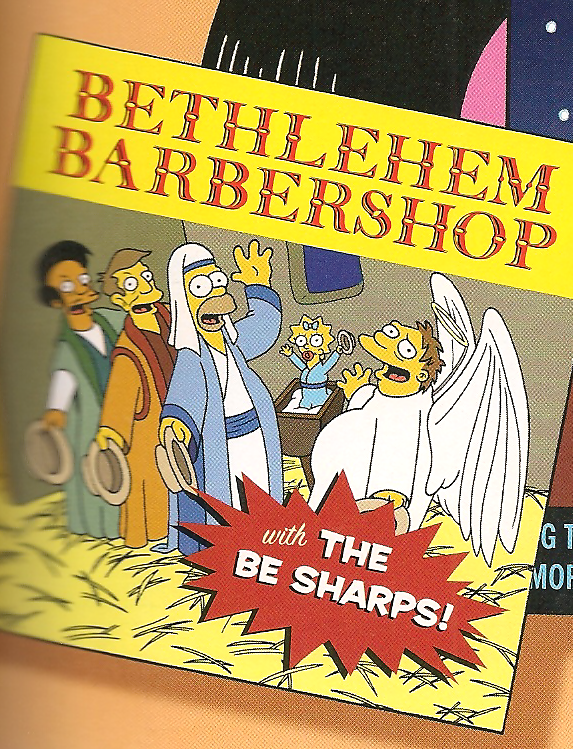 Bethlehem Barbershop is an LP album with Christmas songs performed by The Be Sharps. The album is on sale at Android's Dungeon & Baseball Card Shop, owned by Comic Book Guy. Modified on April 3, 2014, at 17:44.